Do you need a skilled and experienced mediator? Not all family law matters need to be litigated in the court system. Mediation is often a desirable and appropriate way to resolve child custody, paternity, and support issues. The benefits of mediation include a less adversarial process, greater privacy, and potentially lower costs. Mediators remain neutral throughout the process. They do not favor one party nor do they give legal advice to either party. That's why it’s important you also have a family law attorney representing your separate and distinct needs. 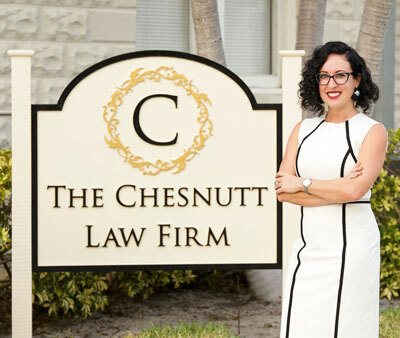 The Chestnutt Law Firm works with the most respected and experienced family law mediators in the Vero Beach area. Whether in mediation or before a private judge, our reputation for integrity and skill translates to increased credibility for our clients. Here are the areas of family law mediation services may be appropriate for. The legal status of a father involves a wide range of family law issues that include child custody and support. If paternity is in dispute, DNA testing may be used to determine parentage and it's sometimes the initial step in seeking child custody and/or child support. Both men seeking to establish paternity or mothers looking to work out issues of custody and child support can benefit from mediation that helps them reach confidential agreements that are favorable to both parties. Florida child custody law no longer designates “primary” or “secondary” residential parents. Instead, the courts require a parenting plan with a time-sharing arrangement that sets out when and how long one or more children will spend with each parent. There are 20 factors the courts consider for determining child custody and a mediator can help work out areas of conflict either before the parties appear in court or they agree to a mutually agreeable custody time-sharing arrangement. It’s often the case that one party pays child support to the other. Unfortunately, this can be one of the most heated and highly contested areas of a divorce proceeding. For parents who can maintain good communication with each other, a mediator helps put together an agreement regarding the child support terms and conditions you’ve already settled on. In contentious situations, an experienced mediator facilitates improving communication and understanding so constructive actions can be taken about disputed issues. Most importantly, mediation focuses on plans that are best for the future of a child, not the parents’ conflict. The goal is to reach a mutually-acceptable solution that lets both parents be “winners,” respect each other, and do the right thing for their children. Under Florida law, both parents have the right to request a modification of child support. Although amicable parties often make verbal changes to child support orders on their own, it’s always a good idea to get them in writing and have them recognized by the court. If a party fails to make or falls behind in court-ordered child custody payments, the other party will need to seek enforcement of the order, usually through the courts. Parents can reach a modification agreement between themselves, through the court, or through the mediation process. In fact, many Florida court jurisdictions require mediation before heading to court. If you're interested in learning more about how mediation can help you resolve family law issues in a much less stressful setting, then you should speak to one of our family law attorneys as soon as possible. Contact The Chesnutt Law Firm today either online or by giving us a call at 772-213-9592 for a private consultation.